Braided (oil on canvas). 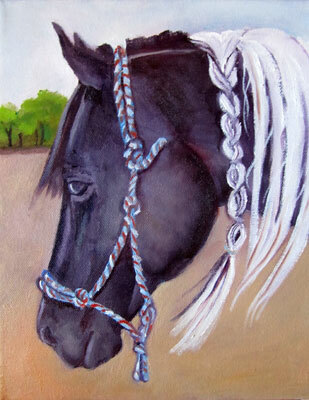 This is a small painting that sold as a gift for a young horsewoman. 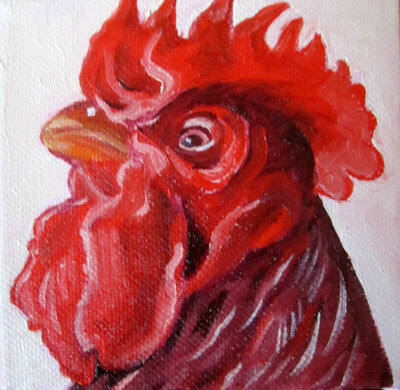 Rooster Attitude is a small oil painting (sold). Minnie & Max (oil on canvas). 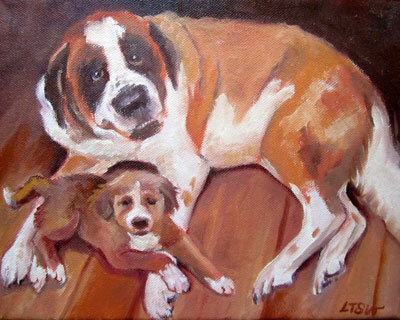 This is an older painting of our sweet St. Bernard Minnie and her friend Max. 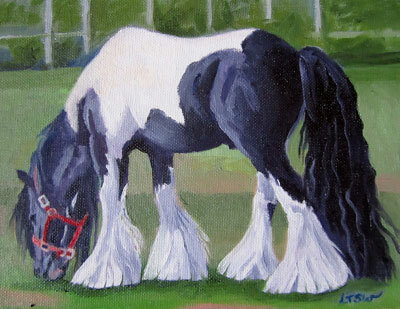 Babes, a Gypsy Vanner (oil on canvas board, 7″ x 9″, framed w/black wooden frame). This painting was donated to the LPB auction. Not sure when the auction starts, but you can check it out at LPB on line.